As Elder Law attorneys Thompson and Tiemann strive to provide competent and reliable legal services to seniors and the people who care for them. The focus at Thompson Tiemann is on the legal issues of aging, including Advance Directives, Estate Planning, Wills, Trusts, Powers of Attorney, Probate, Medicare and Medicaid Planning. Through Life Care Planning they help seniors and their families create a safety net of information, services, and necessary legal documents to prepare for and protect themselves on the aging journey. Gaye Thompson is a founding partner in Thompson & Tiemann LLP. She has been licensed to practice before the United States Supreme Court, the Fifth Circuit Court, the United States District Court for the Western District of Texas and the Supreme Court of Texas. She is a VA accredited attorney and has been Listed in the 2007 through 2017 editions of “Best Lawyers in America” in Elder Law; in the 2014 Best Lawyers Special Edition: Texas Women Lawyers in Elder Law; and in the 2015 Best Lawyers, Lawyer of the Year in Elder Law in Austin, Texas. 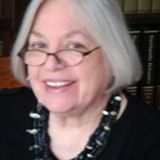 She is a past president of the board of directors of the National Academy of Elder Law Attorneys, Texas Chapter; past chairperson of the Probate and Estate Planning Section of the Austin Bar Association; past president of the Board of Directors of Family Eldercare, Inc., and has served on the AGE Board of Directors. Gaye graduated from Southwestern University in Georgetown, Texas, and later in life attended law school at St. Marys in San Antonio. She did post graduate work in both clinical and counseling psychology and worked in the counseling area prior to attending law school. Previously she has worked as a psychiatric caseworker and as a criminal prosecutor. Lynn Tiemann is a founding partner in Thompson & Tiemann LLP. She has been licensed to practice before the United States Supreme Court, the Fifth Circuit Court, the United States District Court for the Western District of Texas and the Texas Supreme Court. 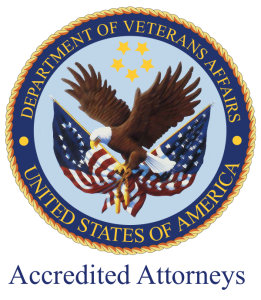 Lynn is a VA accredited attorney. She is a Fellow of the College of the State Bar, a member of the State Bar of Texas and the State Bar of Texas section on Real Estate, Probate, and Trust Law; a member of the Austin Bar Association and the Austin Bar’s section on Estate Planning and Probate; she is a past president, board of directors of the Old Bakery and Emporium Board and Guild, Austin. Lynn graduated from Texas Lutheran University in Seguin, Texas, and attended law school at St. Mary’s University in San Antonio. She grew up in the law office of the Honorable Judge Joseph Burton Dibrell of Seguin, working as his secretary, legal assistant, and attending law school in the evenings until she finally became an attorney in his law firm. Later Lynn practiced law in Dallas prior to returning to Central Texas. She has taught courses in business law, and was one of the founding partners of El Sol Y La Luna restaurant in Austin. Lynn also created Austin Spirit Gallery on South Congress Avenue, where she was one of the main artists in residence.